Minato means port. 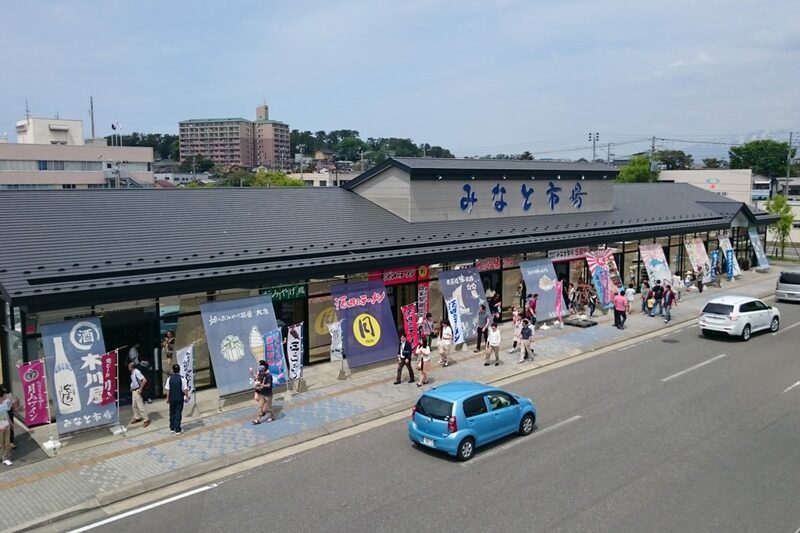 There are seven indoor shops selling fresh seafood, vegetables, fruits, sake, local specialties, and souvenirs. Some have small diners where you can eat ramen or a bowl of rice topped with tuna.